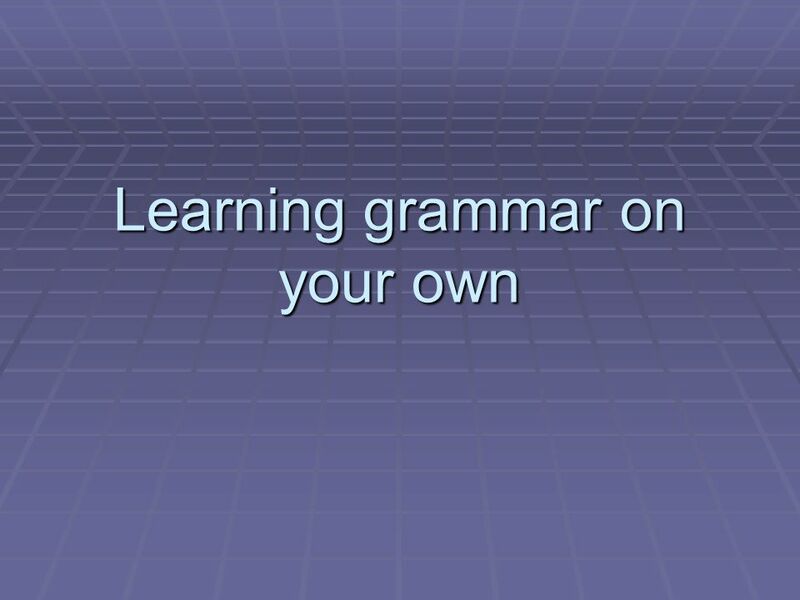 Learning grammar on your own. 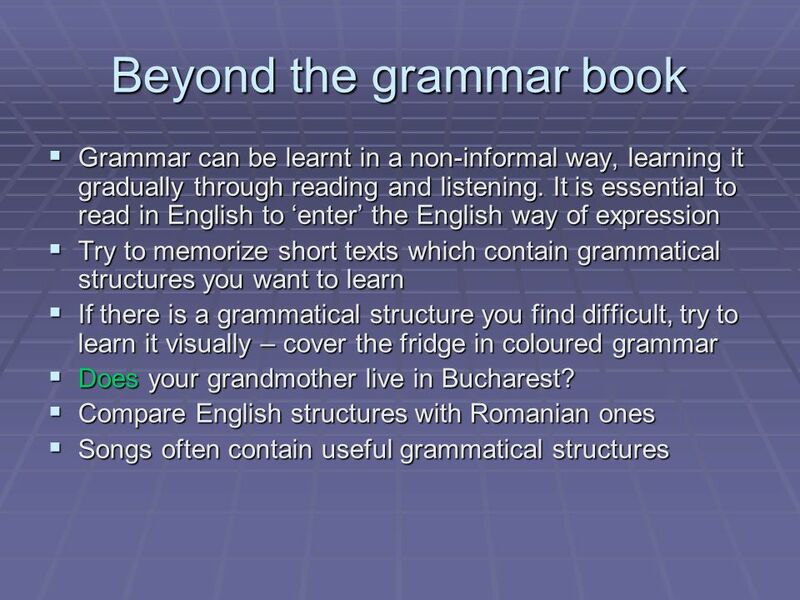 Beyond the grammar book  Grammar can be learnt in a non-informal way, learning it gradually through reading and listening. 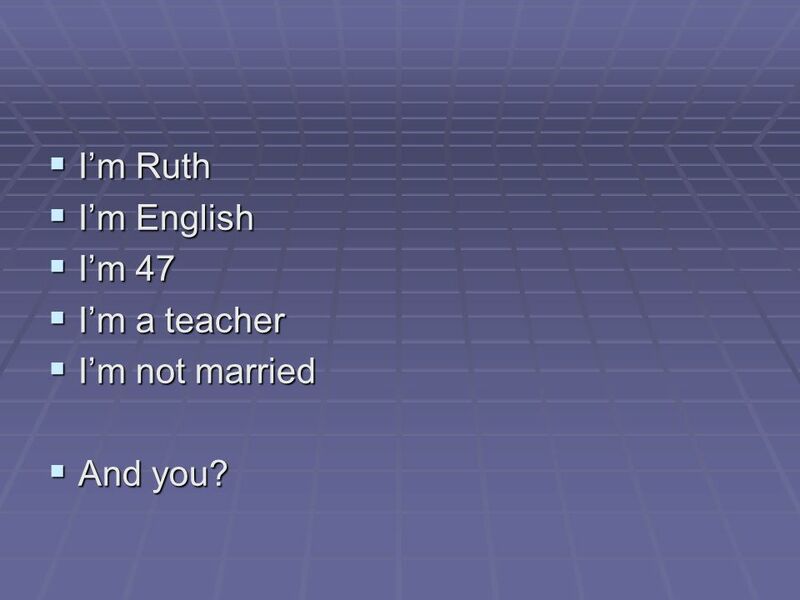 6  I’m Ruth  I’m English  I’m 47  I’m a teacher  I’m not married  And you? 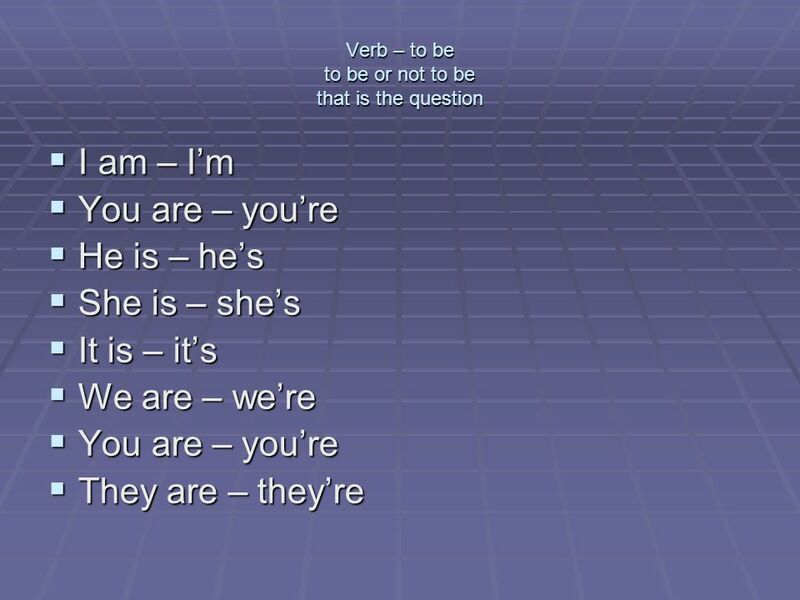 Download ppt "Learning grammar on your own. 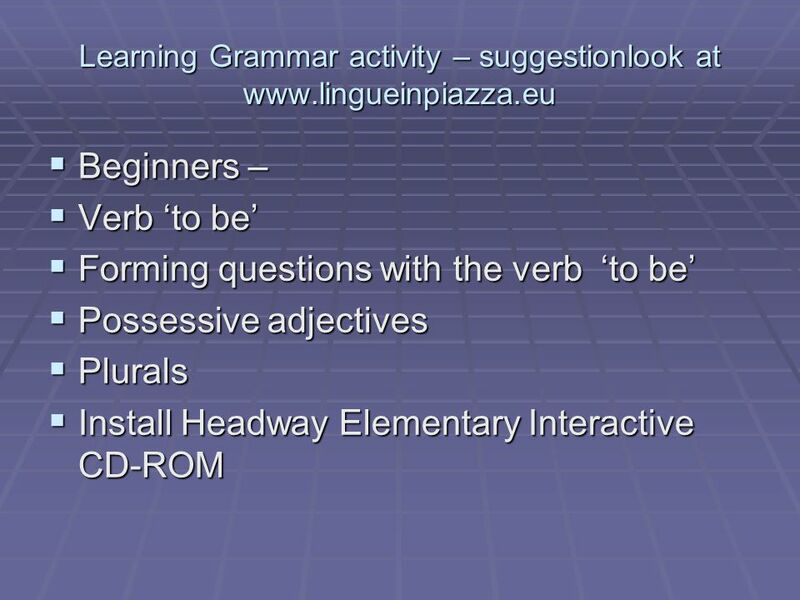 Beyond the grammar book  Grammar can be learnt in a non-informal way, learning it gradually through reading and listening." Police Legitimacy: A Young People’s Perspective Professor Kevin Haines Dr Mark Hawes Centre for Criminal Justice and Criminology Swansea University. 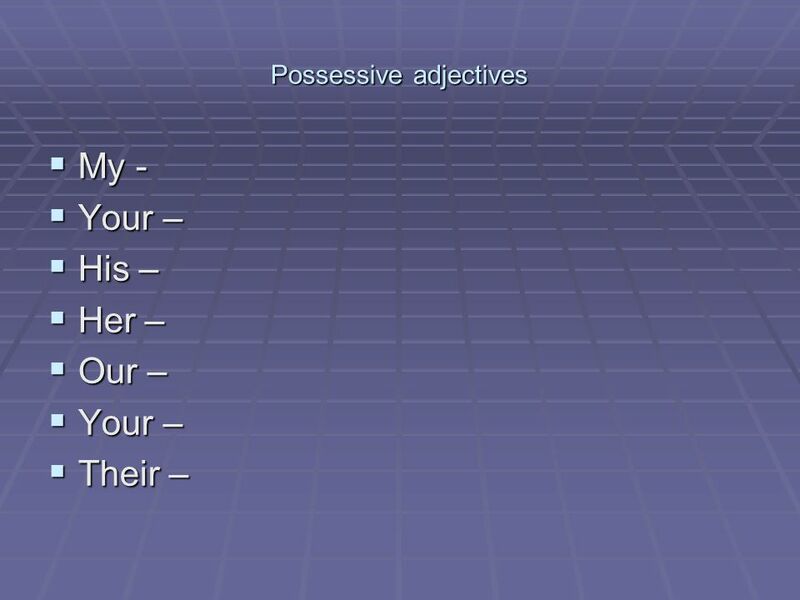 Spelling SF People – Feelings and Emotions Some little children are afraid of the dark. 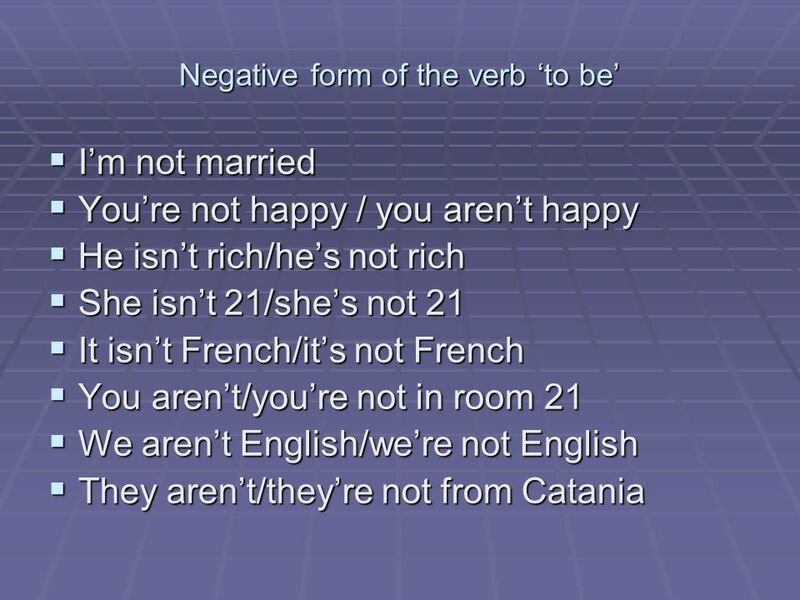 Personal Pronouns São usados como sujeito da oração. 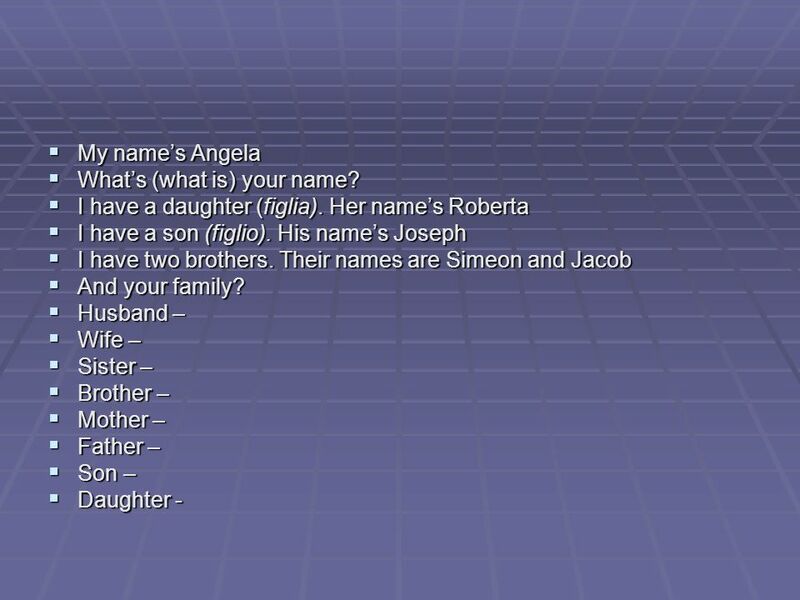 SingularPlural I, You, He, She, It We, You, TheyWe, You, They Stella is a new classmate. She is eleven. 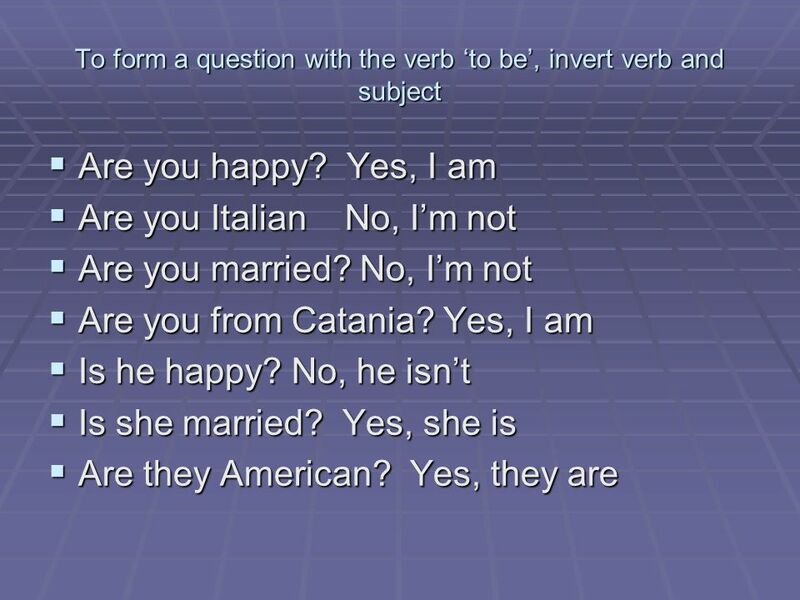 Using Tag Questions BY G. Javier Burgos. QUESTION TAGS It’s a nice day, isn’t it?.